The devices - known as continuous plankton recorders (CPRs) - first ensnared a plastic bag off the coast of Ireland in 1965. Are your clothes polluting the ocean? 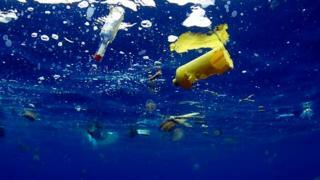 How did scientists 'accidentally' find plastic? By fishing for plankton for all those decades - a key species that indicates the productivity of the ocean and so of particular interest for monitoring the health of fisheries - the machines also produced a history of plastic litter. 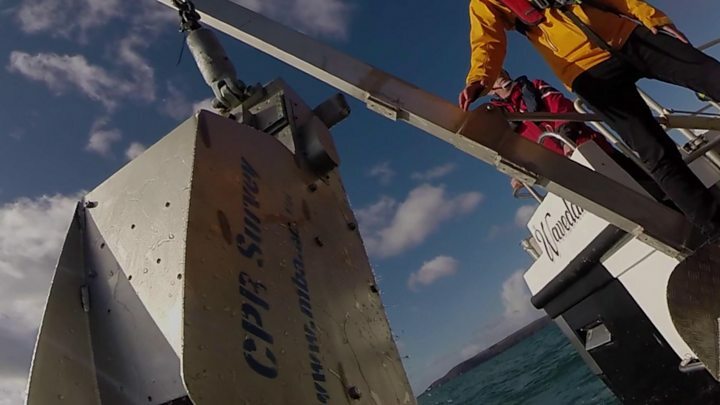 Lead researcher Dr Clare Ostle, from Plymouth's Marine Biological Association, explained that the "fleet" of CPRs were designed and built to be towed behind ships. They capture samples of plankton from the water column - trapping them on a mesh inside. "We search through [those logs] and what we realised was that we had some really early, historic entanglement cases of plastics," Dr Ostle explained. "We can build a time series from that - so we can actually see the increase in larger plastic entanglements." One headline is that it shows what is believed to be the first recording of a plastic bag in the ocean - a bag that became ensnared on a CPR that was being towed off the coast of Ireland in 1965. Marine animals can become entangled in larger plastics - particularly cord, nets and ropes. A BBC documentary crew last year filmed dead seabirds on a remote island that had starved to death with their stomachs filled with plastic fragments. Much smaller microplastics - often the product of larger items breaking down - have been found in fish, seafloor sediments and even in Antarctic ice. They remain more of an open question; scientists are investigating whether ingesting these tiny plastic fragments causes any harm. The researchers involved in this study hope that the "wave of awareness" about ocean plastic will help reduce the amount of litter that finds its way into the sea in the first place.